Laura (Belén Rueda) returns with her husband Carlos (Fernando Cayo) and young son Simón (Roger Príncep) to the orphanage where she grew up, intending to reopen the building as a home for children with special needs. However, before long, she finds herself haunted by more than just the memories of her past. In 2008, a Spanish film from a first time director was released in UK cinemas. That director was JA Bayona and the film was horror classic The Orphanage. Ten years on and much has changed for the filmmaker - he is about to release one of the year’s biggest blockbuster movies, Jurassic World: Fallen Kingdom. However, much remains the same - Bayona's debut movie is as powerful (and terrifying) as ever. The key to the effectiveness (and lasting success) of The Orphanage is its blend of scares and powerful emotion. “I wanted people to be really scared by a horror film and deeply touched by a drama,” Bayona explains. It would take a cold, hard heart not to be moved by Laura’s plight. Meanwhile, it would take a braver constitution than mine to resist the film’s unsettling atmosphere. Bayona employs classic horror tropes - the haunted house, the fear of creepy children and the “hysterical” woman - to create a compelling and utterly gripping mystery. Bayona came across the script for The Orphanage after watching screenwriter Sergio G. Sánchez’s short film, 7337. Sánchez had written The Orphanage's screenplay in the style of the movies he loved as a child (including Poltergeist, The Omen and Rosemary’s Baby). The writer drew from his own childhood (he, like Simón, had imaginary friends called Watson and Pepe) and was also influenced by classic books such as Peter Pan and The Turn Of The Screw. Sánchez initially wanted to direct the movie himself. However, he could not secure the funding. As a result, he offered his script to Bayona who saw incredible potential in the ghost story. Bayona wanted to make an old fashioned studio movie on a grand scale - doubling the film’s initial budget. The scope of his ambition was impressive - especially for his first time making a feature-length film (he had only made music videos and shorts previously). However, the chances of his being able to raise the money necessary to bring his dream to life were low. Low, that is, until he received support from a very special source. He had met Guillermo del Toro at a presentation of the director’s film, Cronos. Knowing his reputation for helping newbie filmmakers, Bayona showed him The Orphanage’s script. 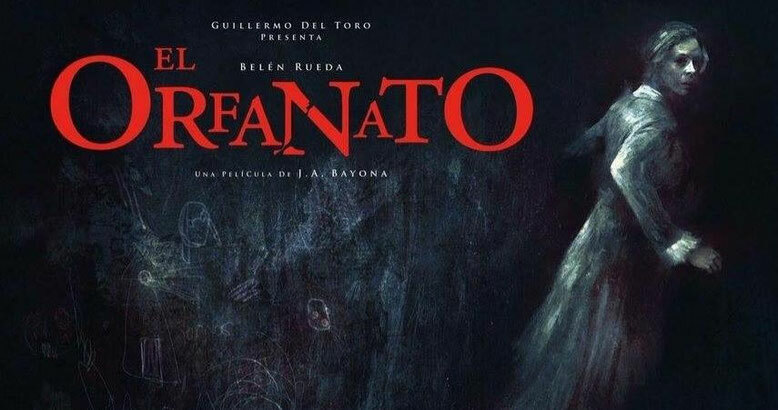 “It’s the best Spanish film script I’ve ever read in this genre,” del Toro remembers. The power of the story combined with Bayona’s “cinematic intelligence” prompted the (now Oscar winning) director to support and supervise the film’s development. Watching The Orphanage, you can certainly sense the influence of del Toro. Indeed, the director has spoken of the link between this film and his 2006 classic, Pan’s Labyrinth. Both movies contain devastating Peter Pan references. Both films explore the magical power of faith - how the strength of belief can allow us to see reality in a different way. “Without Guillermo’s great support, we couldn’t have done it,” says Bayona. The director could now press ahead with his grand plans - including an enormous set. After finding the perfect house for external shots (Bayona wanted something sober, majestic and rather decadent), the inside of the orphanage was built in incredible detail “It was a director’s dream,” Bayona recalls. The set allowed the filmmakers - including cinematographer Oscar Faura - the freedom to move throughout the space in new and increasingly disorientating ways. In addition, it gave Faura greater control over the film’s lighting. The aim was to keep the lighting as realistic as possible. Bayona wanted us to feel the reality of Laura’s horrifying experience. As a result, Faura avoided artificial effects wherever possible. Lighting was key in creating the film's mystery. The Orphanage’s colour tones are almost clues as to what is real and what is, perhaps, supernatural. For example, at the beginning when Laura is excited and optimistic about her plans for the orphanage, the film is bathed in warm colours. When Laura and Carlos allow a team of para-psychologists to investigate the ghostly presence that Laura senses in the orphanage, the film is shot with a green light matching their monitoring equipment. Then, at the end of the film, The Orphanage is dominated by cold, blue tones as Laura is tormented by her fears for Simón. Meanwhile, sound is also critical in The Orphanage. Again, Bayona stressed the need for realism. Sound was often unnecessary in many scenes. “We realised that adding too many sound effects or synthesizer-created atmospheres - which in other films increase suspense - would have the opposite effect in this one,” explains sound designer, Oriol Tarragó. Of course, all the sets, lighting and sound design in the world would be for nothing without powerful performances from the cast. Fortunately, The Orphanage was blessed with Belén Rueda. She gives an absolutely superb performance as Laura. She pulls us into this haunting story and doesn’t let us go until the film’s heartbreaking conclusion. The success of The Orphanage also depended on a powerful portrayal of Simón. Roger Príncep - Bayona’s first choice for the role - is astonishing. He conveys Simón’s innocence, his limitless imagination and sense of wonder. Crucially, he is also able to express Simón’s anger and frustration. Throughout The Orphanage, Bayona plays with our perceptions. What is real, what is supernatural - what is, perhaps, only imagined. A first watch of this film (before the final reveal) leaves us disorientated and unsettled. 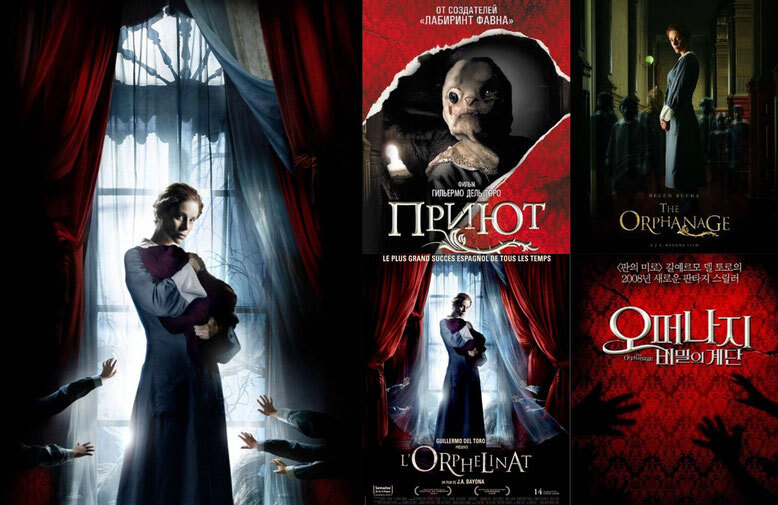 However, even when we know how this story ends, we want to watch The Orphanage again (and again) to see if we can spot the clues that pointed to the film’s deeply unsettling conclusion. In the beginning, Laura had a dog. However, this then proved too complicated when filming key scenes. Sergio G. Sánchez has now directed his first feature length movie - due for a summer 2017 release - called The Secret Of Marrowbone. 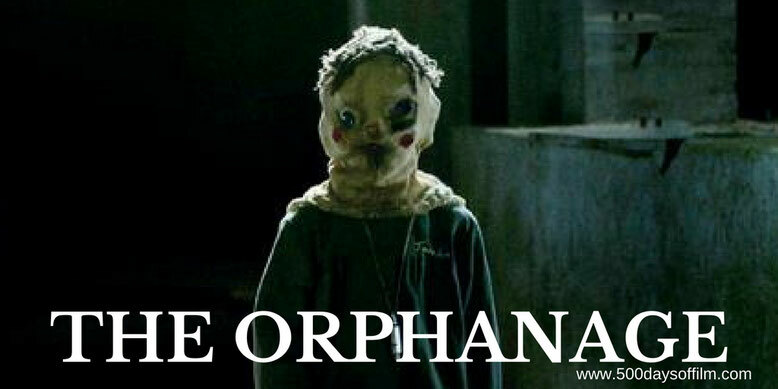 Have you seen The Orphanage? If so, what did you think of JA Bayona's film? Let me know in the comments section below or you can find me on Twitter @500DaysOfFilm.